Media scolds invariably say in their most hectoring tones that so many people died for our right to vote and to not exercise it is a slap in the face to their sacrifice. I think the slap in the face to their sacrifice is having our choices limited to candidates who don’t represent the pressing questions we face in our lives. It’s a slap in the face to their sacrifice that we have an Electoral College–a relic designed to give disproportionate power to slave states—that put the person with the lesser number of votes in office. It’s a slap in the face that we have a voting system that effectively put a poll tax on people of color with four-hour lines and limited hours. 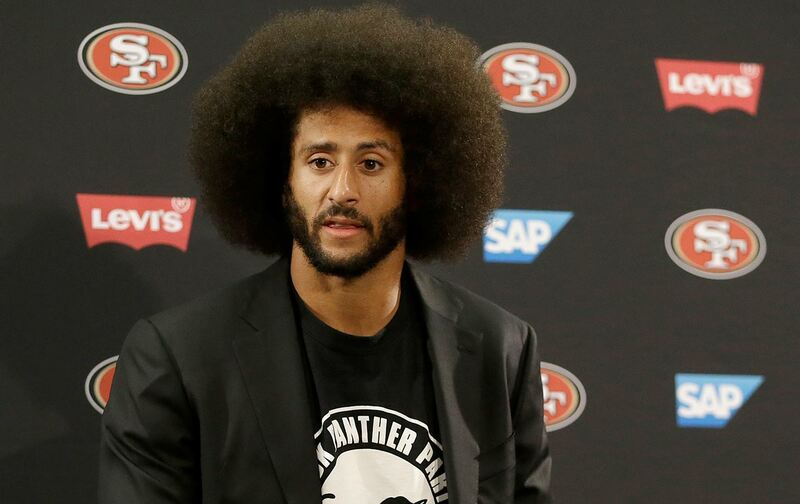 I understand where Colin Kaepernick is coming from, and I respect all he has done this year to raise awareness about police violence and putting that question in uncomfortable spaces. It has taken courage in the face of threats to his career and threats to his life.